Christina and I enjoyed weather in the low 80’s and immaculate blue skies and sunshine with low humidity. 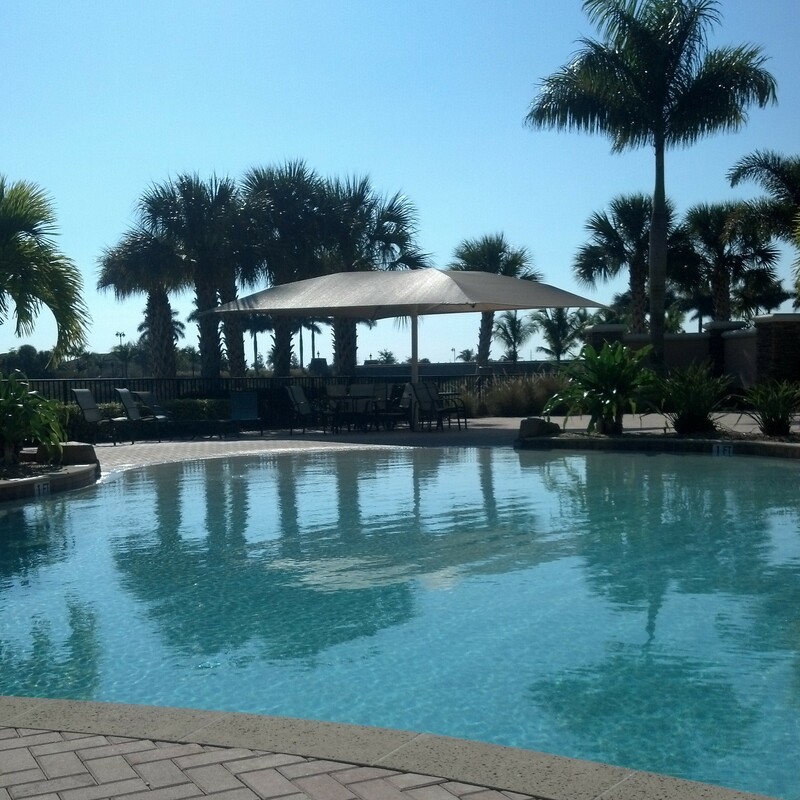 We visited three different beaches on our trip and spent several hours at our aunt and uncle’s community pool on Sunday before our shuttle ride came to take us back to the airport. Christina is an avid TripAdvisor reference-er. So we ate like royalty at Skillets, Cheesecake Factory, and an amazing little restaurant on 3rd Street in Downtown Naples called Truluk. We didn’t have to pack anything besides our own clothes and toiletries since we stayed at my parents’ beautiful house in Naples. We only had to worry about feeding ourselves and getting too much sun. Except for Christina getting a fly-by bomb from a seagull and a moment where we were read the riot act by an old lady whose sidewalk we accidentally parked too close to (that’s a story for another day), we had a perfectly relaxing, rejuvenating vacation. I got back late last night around 10:30 p.m. Gracie has a bad cold and was up several times in the night and I was only too eager to rock her back to sleep because I’d missed her so badly. Then Luke and Noah were up for the day around 6:30. And I was beat. There were snow flurries outside. The kids fought like crazy for my attention all day which was sweet at first but I was at the end of my rope by 5:00 this evening. I think I lost some momentum by going away. It seems harder to get back into the swing of it! But I have to say, Scott did really well. They were all cared for and the house was very clean when I got home. 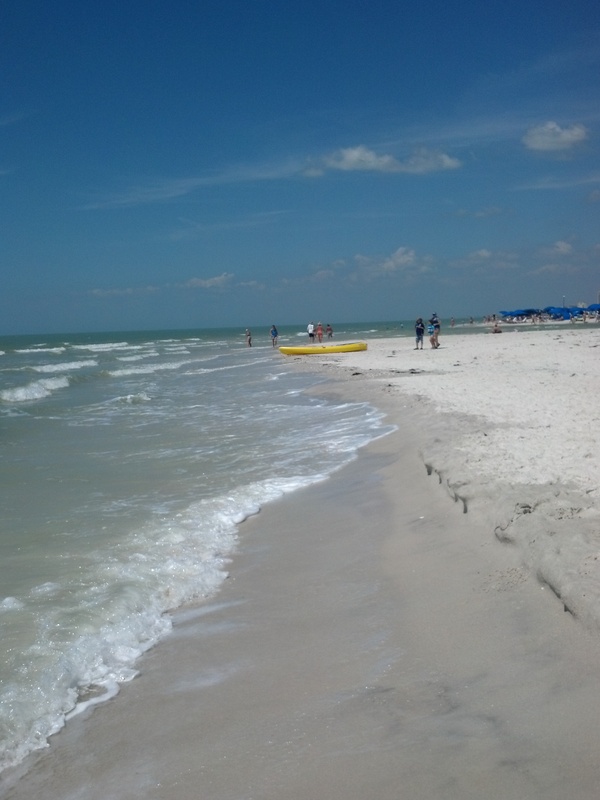 Clam Pass Beach- Really nice, but very crowded the day we were there. My Dinner at Truluk. 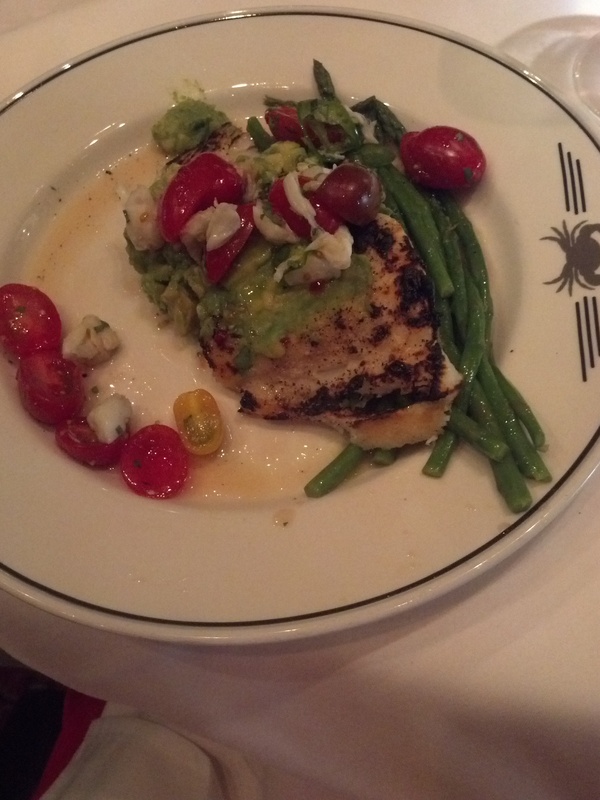 A Blackened Halibut with a spicy jalapeno avocado, tomato salsa. We ate way too much this night but then walked around the art fair on 5th Ave in Downtown Naples after to work off dinner. 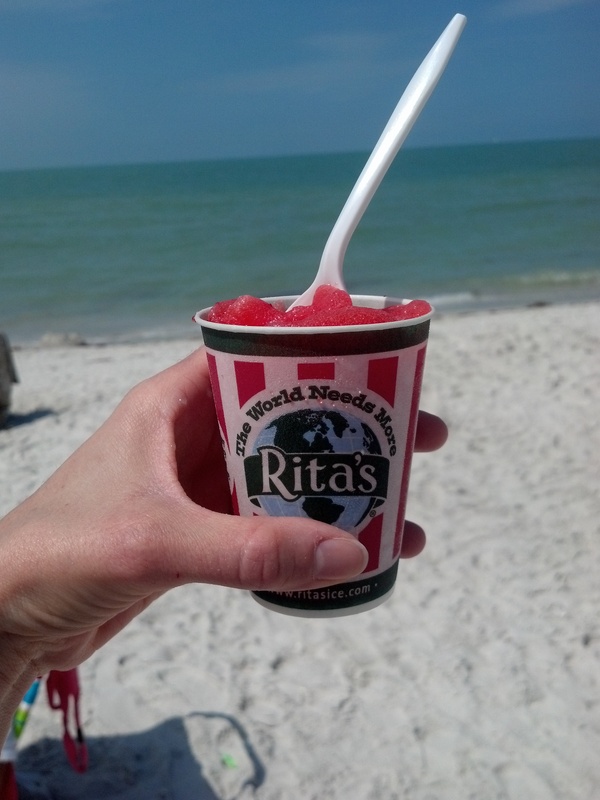 I didn’t even have to share my kid-sized frozen strawberry lemonade! We were both practically in tears checking the weather forecast back on Michigan as we stared at this view on our last day in paradise. 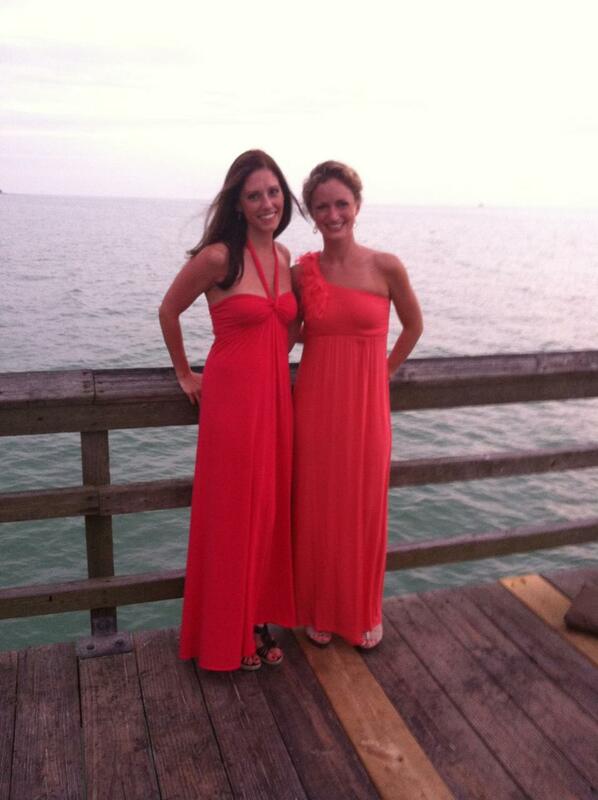 Christina and I didn’t mean to, but both packed coral colored maxi dresses to wear for our big dinner out. We got a lot of stares because of our “match-y-ness” but were upstaged by a proposal taking place at the pier at sunset. Which then lead us to reminiscing about our own proposals. It was a fun night! My little Gracie at (nearly) ten months. How is it even possible?